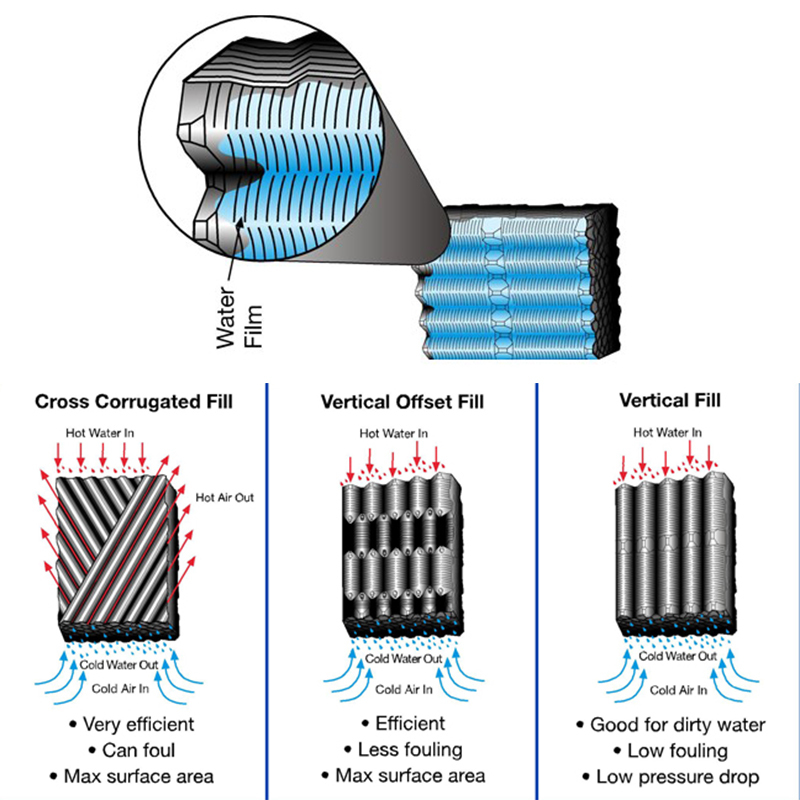 The principle of operation of cooling tower fill is to put as much water surface area in contact with as much air as possible, for the longest amount of time possible. Film fills allow the water to form thin flowing sheets to expose as much water surface area as possible to the interacting flow. Cooling tower sheet fills or media, come in many different forms and â€œmicro-structures,â€ each having unique characteristics to fit various applications. Film fills are selected for direct replacement, performance enhancement, and water condition compatibility. Each fill has performance characteristics that allow selections to be made for various heat loads, flow rates, water quality, and horse power combinations.